Be the first to hear about their new releases and deals. 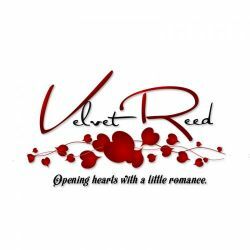 Download the Booksprout app and search for Velvet Reed today! Velvet Reed is an avid book lover, reviewer and former blogger, who finally decided to put pen to paper and write down all the crazy story ideas floating around in her head. Born and raised in Sydney, Australia; she is a city girl at heart, but loves the laid back lifestyle of living in country New South Wales. Married to her first and only love, she is a devoted mother of three, who juggles her very active children and their many extracurricular activities, whilst also writing. Velvet's love of reading was realised after the death of her amazing father. She used the escape into the fictional world to help her through her grief and post natal depression, not realising the great impact so many talented authors would have on her life.